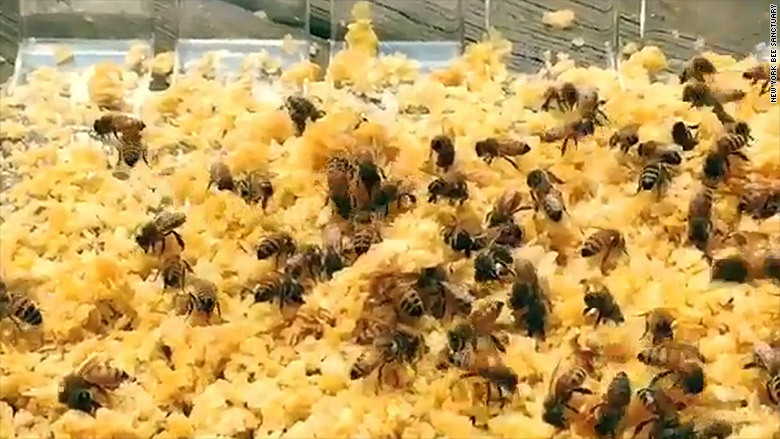 America's honey bees are dying. What's at stake? Quite possibly the food on your plate. "Most people don't realize that without bees, many plants and food crops would die off," said entrepreneur Guillaume Gauthereau, who plans a first-of-its-kind "sanctuary" for millions of bees in upstate New York. As nature has it, bees and other pollinators like birds and butterflies are integral to the nation's food supply. Honey bees enable the production of at least 90 commercially grown crops in North America. But honey bee colonies, threatened by disease, pesticides and other factors have declined precipitously over the years. "We [have] felt the need to take action to prevent these beautiful, vital species from suffering and disappearing," he said. 12 months from now, Gauthereau hopes to cut the ribbon on a novel 50- to 100-acre honey bee sanctuary in the Catskills in upstate New York. The sanctuary, he said, will provide a "safe haven" for a variety of bees and pollinator-friendly flowers, fruit trees and berry bushes. Gauthereau is aiming to have 50 to 100 beehives -- with a few million bees -- placed in specially constructed bee houses on the sanctuary. "As far as I know, there is nothing like this for bees anywhere in the U.S.," he said. "It will be a place where bees will have safe shelter, food and clean water." Gauthereau wants it to be more than a refuge for bees. "We want to establish a research center there," he said. "We also want to open it to students and the public to study bees and really not be afraid of them. The idea for the sanctuary came about two years ago, said Gauthereau, who is a trained veterinarian and also has a few beehives on his own private land in the Catskills. "As a beekeeper I became very aware of the dangers they're facing and the need for conservation," he said. 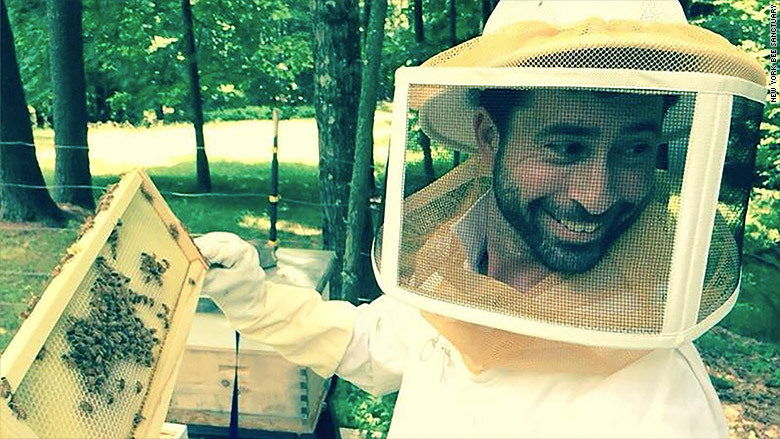 Using his entrepreneurial skills -- Gauthereau co-founded business incubator Sequoia Lab in 2008 and children's products deal site Totsy.com in 2009 -- he launched the non-profit New York Bee Sanctuary in 2014. He said the initiative, which he's self-funded with $20,000, was born out of his long-standing interest in nature, sustainable farming and sustainable foods. Gauthereau has assembled a team of advisors who he calls "the best people in the bee world" to help him. They include Mark Izeman, director and senior attorney with the Natural Resources Defense Council, and Sarah Red-Laird, founder of non-profit Bee Girl. He's now focused on raising funds to acquire the land for the sanctuary. "The landscape will inspire and teach visitors how they can help to improve habitat, protect bees from harmful pesticides, and promote their health and diversity," he said.